This is one of the smallest SAK with a wood saw. 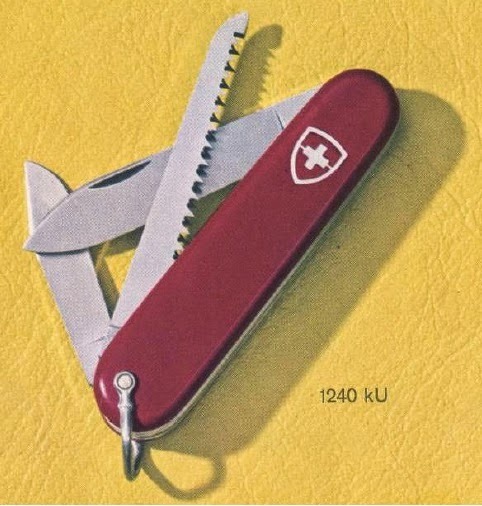 It has been part of the Victorinox line-up since the 1970's but instead of the combo tool, there was a small blade included with the part number 1240ku. 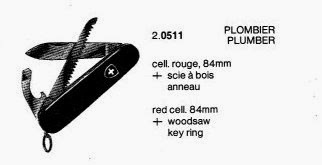 During the 1980's, Victorinox replaced the small blade with a combo tool found in the other 84mm knives and named it as a Lumberjack. Other catalogs also identifies it as the Plumber.